Klosters has been made famous by it's connections with the British Royal Family, but it is actually a pleasantly informal village with good local amenities and access to the fabulous Parsenn mountain it shares with Davos, as well as the family-friendly Madrissa pistes. There is plenty of off-piste and a long season, plus faster road and rail connections than Davos - although you can take the train round to Davos or ski over to get to the other four mountains there. Despite the relative accessibility of much of the off-piste, it is often not as safe as it looks. An avalanche in 1988 which killed Prince Charless equerry on Gotschnawang was led by an experienced guide. The nearest airport to Klosters is Zurich. There is a railway station in the airport. There is a 12km run from the Weissfluh peak, 2844m to Küblis at 810m. The run off Madrissa into the village is also almost 9k in length and drops 1500m. Also a 1km drop on the 7k run off Gotschnagrat. As Alistair Scott noted in his 1989 ski guide to Switzerland, "most of the smartest apres-ski in Klosters takes place behind closed doors in private chalets. However Gaudy's at the foot of the Parsenn is a good spot to round off a day on the slopes. Most nightlife is centred on the hotels. The upmarket Walserhof (+41 81 410 29 29) is probably the best place to eat in town. 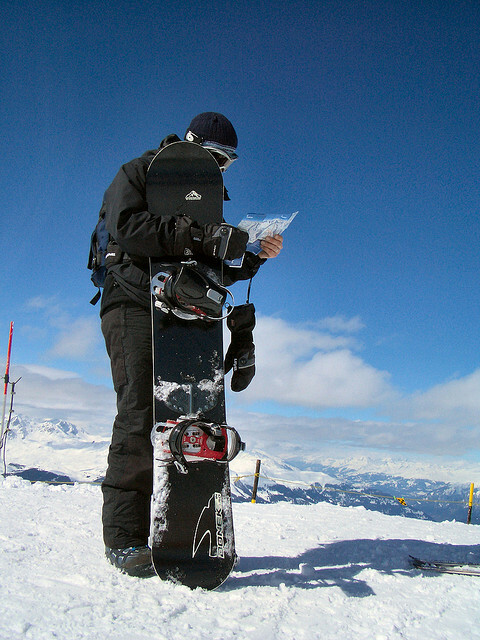 The best destination to access the downhill slopes by public transport in this ski area is Klosters, Platz. The station is next to the cable car for Parsenn. Alight at Klosters Dorf for Madrisa and adjacent gondola. Waldhotel, Davos Ranked #1 in Davos by TripAdvisor. Grischa - DAS Hotel, Davos (4*) Ranked #3 in Davos by TripAdvisor. Hotel with good child facilities centrally located on Davos Platz. Steigenberger Belvedere, Davos Ranked #2 in Davos by TripAdvisor. Sheraton Davos Hotel Waldhuus, Davos (4*) Family hotel, ranked #4 in Davos by TripAdvisor. Kinderhotel Muchetta, Davos Family hotel. Hotel Schatzalp, Davos Rated a historic hotel by the Swiss Tourist Board. Sunstar Parkhotel, Davos Ranked #7 in Davos by TripAdvisor. Hotel Meierhof, Davos Ranked #5 in Davos by TripAdvisor. Hotel Edelweiss, Davos Ranked #6 in Davos by TripAdvisor. Chesa Grischuna, Klosters (3*) Ranked #8 by Tages-Anzeiger amongst Swiss 3* Hotels, and ranked #3 in Klosters by TripAdvisor. Voted Switzerland's Best Ski Boutique Hotel 2013 at the World Ski Awards. Vereina, Klosters (4*) Ranked #12 by Tages-Anzeiger amongst Swiss 4* Hotels. Hotel Walserhof, Klosters Ranked #1 in Klosters by TripAdvisor. Hotel Alpina, Klosters Ranked #2 in Klosters by TripAdvisor. Hotel Sport, Klosters (3*) Family hotel. 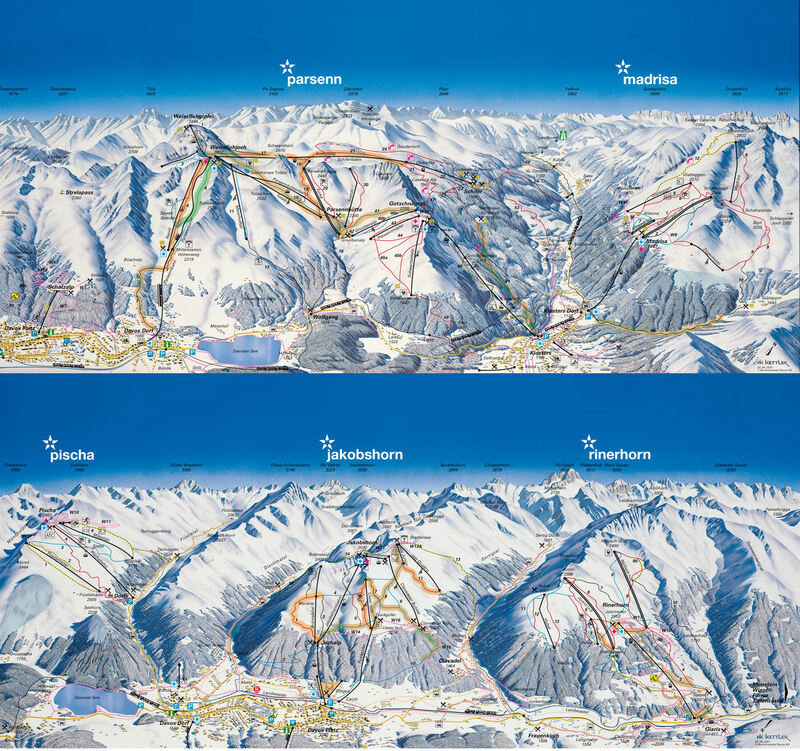 Did you ski Klosters or snowboard in Klosters? What did you think? Have you taken the train to Klosters? Do you have any tips on accommodation in Klosters or the apres ski? Is there anywhere else you have taken the train to ski? if so, please contact us and share you experiences using the contact link at the foot of the page. 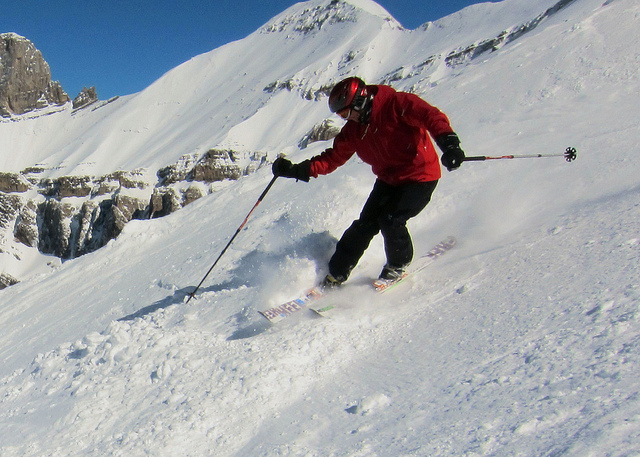 For more details on Swiss resorts visit our sister site at Swiss Winter Sports.